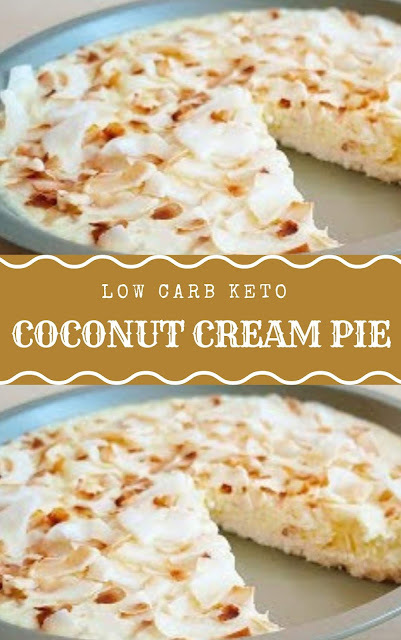 Low carb Coconut Cream Pie Keto. Make simple and sweet delights keto coconut pie. Meet all the sugar cravings. Enjoy. This is why you’ll want to compile a small library of recipes that fit within a particular diet plan. So if you are going low-carb, then build the library of low-carb recipes. Mix 3.5 oz (100 g) coconut flakes of coconut oil and eritritol. Press the substance resulting in a cake pan, trying not to pack too dense. Bake in the oven for 10 minutes at 350f (170 c) and let it cool. Pour the heavy cream into a pan and put it on low heat. Whisk in the powdered eritritol rubber, dispersal and grated coconut. Bring to a boil and let it sit for about 10 minutes. Lightly toast coconut flakes, until golden. Pour mixture into crust in Cake Pan and sprinkle with toasted coconut flakes.